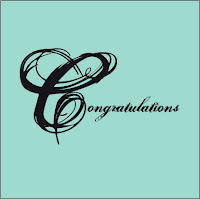 A big THANK YOU to Anna Balasi of Hatchette Books for allowing me to give away 5 copies of Desire Me by Robyn DeHart. You must FILL OUT THIS FORM in order to enter. Leaving comments will gain you an extra entry, but you must fill out the form initially to receive your first entry! I'd like to thank Robyn for stopping by to tell us about her favorite legends. Here she is! For today’s blog I was asked a great, but difficult question – what is my favorite myth/legend and whether or not it inspired me to write the Legend Hunters series. I don’t know if I can pick just one, there are so many mysteries out there that I find intriguing and there is something so fascinating about legends that have caused enduring curiosity. The older the legend, it seems the more intriguing it is. Take Excalibur and King Arthur, who doesn’t love the Arthurian legends? The romance of Camelot and the Knights of the Round Table, the love triangle between Guinevere, Arthur, and Lancelot–what’s a girl to do? But then there’s Robin Hood, another fascinating tale and it’s so like mankind to cheer for the underdog. But what about all those fabled treasures? Rumors and stories of hidden caves and chests and whatnot filled with gold, gems, and other lovely sparkly things. It doesn’t matter if you’re talking about Solomon’s mines or the El Dorado, people love stories of treasure hunts. In short I’d say that yes, my love of these myths is what inspired me to write the series. I’ve always been fascinated with archaeology and I know I’m not alone. I mean hello, Indiana Jones….need I say more? My love of so many legends and myths made it quite challenging to select those I would write about. I’ve always been interested in Greek Mythology so Pandora’s Box seemed a must and though it wasn’t the first legend I thought of, it did inspire the first book in the series. It seemed the perfect storyline for an adventure romance. Atlantis actually was the first myth I thought of in relation to the series so I knew I would have to write a book about that lost continent. Who isn’t fascinated by tales of lands and cities that are no more? It pulls on most of us, I think. Perhaps that’s why researchers are still looking for the land, still trying to prove the Atlantis story was real. In my Atlantis myth, I introduce descendents who escaped the island before its untimely demise, people who settled on the first land mass they found, which happened to be Great Britain. There’s also an ancient prophecy, a secret weapon and a scavenger hunt that gets Max and Sabine (the hero and heroine) into all sorts of trouble. Add in a maniacal villain and things get dangerous very quickly. I hope you’ll all enjoy my take on the Atlantis myth. So pick up a copy of Desire Me and let me know what you think. Thanks so much for having me today and for participating in my blog tour! I'm one of those writers who always knew that she wanted to be a writer. It took me a while, however, to figure out precisely what I wanted to write. Reading Kathleen Woodiwiss' "A Rose in Winter" sealed the deal for me and I've been reading and writing romance ever since. I should have known I was destined for this when my Barbies insisted on hosting elaborate masquerade parties, complete with stolen kisses in the moonlight. I'm the youngest of three children, so of course I'm the favorite. I was raised in central Texas, in the beautiful Hill Country, right smack-dab between Austin and San Antonio. My parents were high school sweethearts and married a week after my mother graduated – they both needed their parents' permission to marry since they were so young. So I blame them and their amazing marriage for the fact that I'm a hopeless romantic. Somewhere along the line, I graduated from college with a degree in Sociology, only after completing an internship with none other than award-winning author, Pamela Morsi. It was one of the coolest experiences of my life and I learned more about the writing business than I could have hoped. After college I worked a myriad of jobs: Computer Software Trainer, Recruiter, Administrative Assistant. But no matter what my day job, I come home to my real job and click, click, click away on my computer and get lost in my imaginary world where justice always prevails and the girl always gets her guy! It's the coolest job in the world. I'm married to the most amazingly supportive man who makes me laugh every day. He's so proud of my career, and loves to tell people, "My wife is a romance novelist." We live in the foothills of the Smoky Mountains, where my husband is a university professor. We have two very spoiled cats who are of no help at all when it comes to my writing, although they sometimes nap in the same room where I sit diligently working. After writing for seven years I sold my first book to Avon in 2004 and Courting Claudia was released in 2005. I had three other releases with Avon and have recently moved to Grand Central Publishing and am awaiting my first release with them. I love to hear from readers, so feel free to send me an email or you can find me online at my group blog, or at on my Facebook or MySpace pages. 1. One of the most fun aspects of writing Desire Me came from creating the scavenger hunt for Sabine and Max. It was a thrill to come up with all manners of danger to put them in. 2. The underground bath is based on a real Roman bath that was unearthed by archeologists outside of Kent in 2004. My characters just happened to find it first. 3. Desire Me is the first book I’ve written that has two villains. And they’re both deliciously evil—and one is a woman! 4. When I came up with the concept for the Legend Hunters series, the lost continent of Atlantis was the very first legend I thought of. 5. When writing the scenes with Queen Victoria, I swear I was channeling Judi Dench; I kept hearing her voice and imagining her mannerisms. She was the perfect inspiration for my Queen. 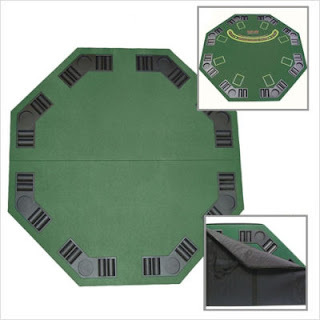 Upcoming Review : Poker Table-Top from CSN Stores! I'm so excited to have been contacted by CSN Stores again to review yet another great product. I've already reviewed one of their great bookshelves, and am still currently loving it! When I was contacted a few weeks ago to review another product I couldn't decide whether I wanted another great bookshelf, since they have such a huge variety, or something completely different. They just have so many products to choose from! I suggested one of their great bathroom vanities as a gift to my mother, but when my fiance saw they had a poker table top, he begged me to choose that! Here's a picture of the poker table top that we decided on! You can purchase your own by going here. As soon as it arrives I'll be posting my review. It's probably going to be a joint review from my fiance and myself. Maybe I'll drag it along to one of our Monday Night poker games! 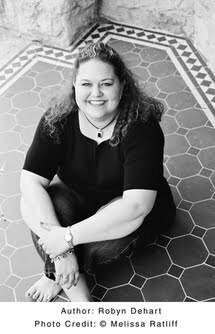 Thanks again to Anna Balasi of Hatchette Books for allowing me to give away 5 copies of R.C. Ryan's Montana Destiny! So sorry I am behind on posting this. I've been on vacation for the past week, and the week before that there was a LOT of planning for upcoming events. If you read my vacation post then you'll understand why, and we even threw in a last minute visit to Hershey Park this past Friday! This contest we had 29 people enter with 171 Entries! We also had 1 person that donated to the site for future contest shipment, and maintenance! Thanks for that! I already have your mailing addresses, but I am going to email all of you just so your aware that you've won! I haven't forgotten you! I'm on Vacation!!! I know, I'm a horrible person. I haven't posted anything for awhile. Last week we were getting ready for our week of vacation, which doesn't really feel like a vacation at all. Tuesday : Cleaning the house and Shopping for Graduation Parties! Mary Kay Makeup Party tonight! What do we still have to do? Thursday : Graduation for my sister and her boyfriend. Graduation party for her boyfriend! Friday : Graduation for my cousin, and her fiance. Saturday : Graduation party for my cousin and her fiance. Birthday party for my little 3 year old cousin! Sunday : Leaving for Connecticut. Foxwoods here we come! Monday : Leaving Foxwoods in the afternoon. Tuesday : I'm FINALLY FREE TO READ AGAIN!!! So please don't hate me. I haven't really had ANY time to relax, and I'm angry because I had a tour book come in during last week and haven't gotten a chance to finish it and now I have to send it on to the next person. Did I mention that the first book in the series was my FAVORITE read of 2010?! Well..it was. So look for more posts from me in a week from today!